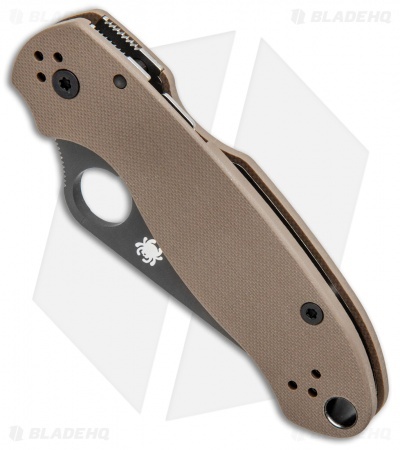 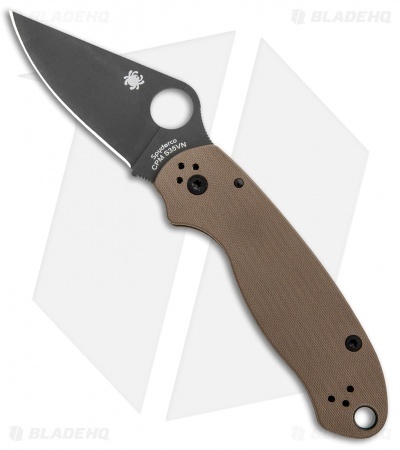 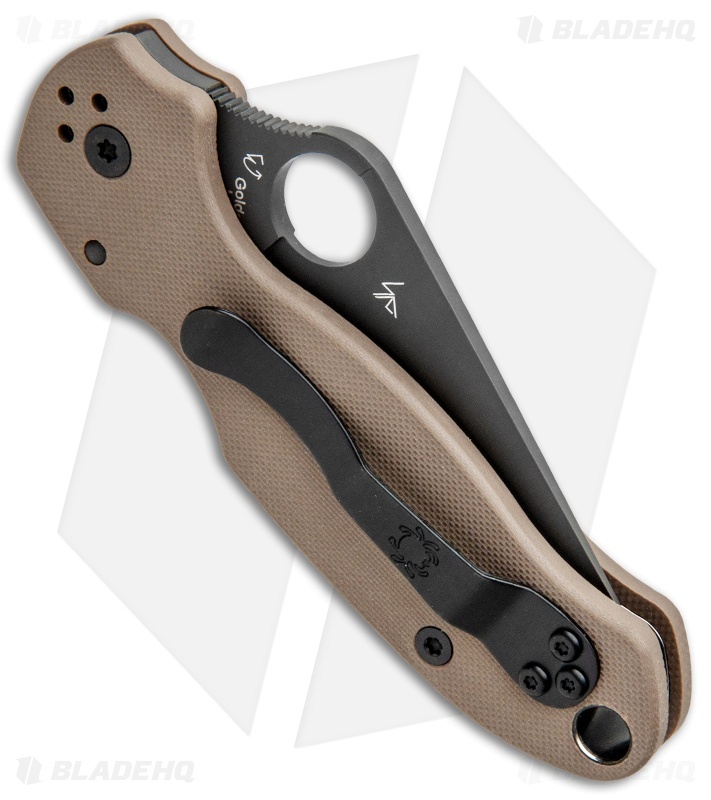 This Para 3 model has a brown G-10 handle and a black finished CPM-S35VN steel blade with a plain edge. 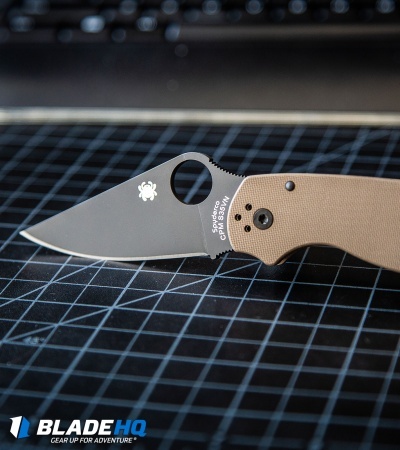 The Para 3 is a more compact version of Spyderco's immensely popular Paramilitary 2. It features the same high-strength Compression Lock, textured G-10 scales, and a scaled-down, full-flat ground blade. 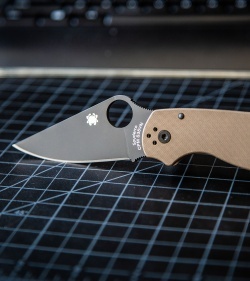 This is another solid design from Spyderco that's sure to please those who love the PM2, but prefer shorter blades or live in areas with blade-length restrictions. 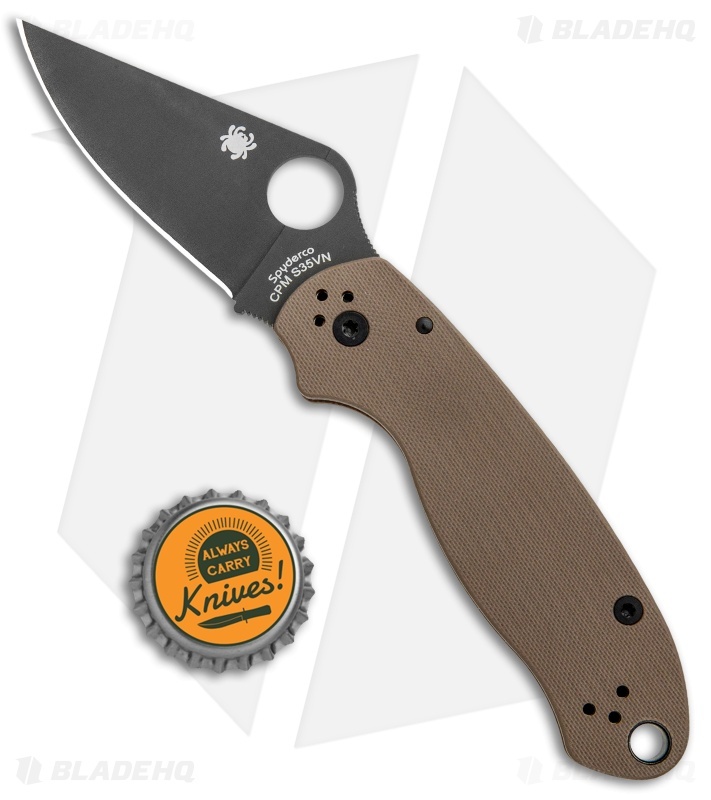 CPM-S35VN blade offers exceptional edge retention and cutting performance. Another perfect variation of the popular Para3! The black hardware in combination with the DLC blade makes this knife stunning in hand. Brown scales look great and this knife becomes a user with its ability to hide dirt on the scales. Get one we while you can!